Skylight windows can offer a variety of benefits to homeowners, not the least of which is creating a light-filled and beautiful space within a home. In addition to the aesthetic benefits that replacement skylight windows offer, there are other benefits as well, including increases in energy efficiency and ventilation. If you’ve been considering installing skylight windows in your home or are looking to replace existing skylights, read on for some of the benefits these windows can offer, as well as a few helpful facts that may help make the decision process easier when it’s time to buy new or replacement skylight windows. Just as you may love looking out the windows at your garden, looking up through a skylight provides a unique view of the world outside. Watch clouds float gently by, enjoy the tree branches swaying in the breeze, and even catch sight of a few birds gliding along in flight. The view up above is one that is mesmerizing and relaxing. Skylights provide a natural source of light within a home. This means that the home seems more open and airy, and it also means that you can keep the lights turned off during the day, conserving electricity. Even for those that have limited space or high roof elevations, there are non-traditional skylight options that can let the sun shine in. Some skylight windows open, offering the added benefit of ventilation. Some models are retractable, while others offer vents (manual or electric) that allow natural ventilation. There are also roof windows, which can be opened to allow air to flow when needed. This can provide a cool breeze on a beautiful day, can allow heat to escape when it’s warm inside, and can lower heating and cooling bills. In addition to modifying temperatures, ventilating skylights can improve indoor air quality, improving health, and they provide a different flow of air than that achieved by opening the windows. In addition to supplying natural light (so interior lights can be kept off) and natural ventilation (reducing heating and cooling costs), skylight windows can also provide passive solar heat by letting the sun shine in to warm the interior space, even when it’s cold outside. This further reduces energy costs. 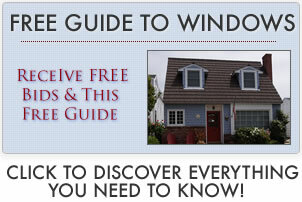 All of these reductions in energy costs can quickly offset the cost of these windows. Skylight window costs range from $1,675 to around $3,250 which includes all of the materials, labor and installation and finish work on the completed project. The skylight and flashing kit will run anywhere from $175 to $1,200, while the installation pricing is the real hit. Expect the install to cost anywhere from $1,500 to $2,300. 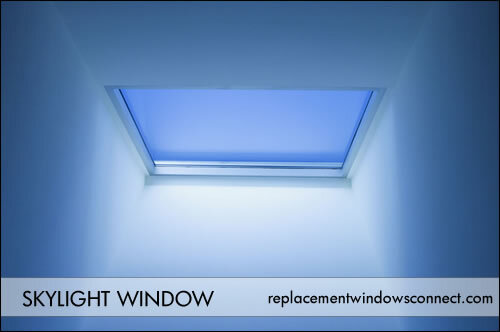 Where you place your skylight can have an effect on the energy efficient benefits these windows offer. If you live in a cold climate, then a skylight facing south will allow more solar heating (but you should avoid this in warm weather climates). If you’re looking for greater ventilation, face your skylight west. There are numerous styles of skylights available. Some types you may want to consider are domed skylights, octagonal skylights, circular skylights or barrel vaults. There are retractable skylights and inoperable fixed skylights. There are skylights made of glass and those that are plastic glazed. For those in need of more light and with limited space, there are non-traditional solar tube, light pipe and sun tunnel skylights. Some skylights offer specific types of mountings, others have superior impact resistance, and still others have enhanced energy efficient or security features. The possibilities are virtually endless. No matter what the style of your home is, what the pitch of your roof is, or how much space you have, there is sure to be a window style to fit your needs. Skylights come in many styles and can be purchased in standard and custom sizes. If you’re purchasing new skylights, you are free to choose almost any size or style you prefer, but you can also buy replacement skylight windows to specifically fit an existing opening. In addition to different skylight styles, you can select from various aesthetic options as well. Choose from different window frame colors, types of decorative trims, grids, privacy blinds, hardware, and more. You can even add security features on some models. If you are installing new skylight windows (in comparison to replacement skylight windows) then the cost of installation should factor into your budget. Skylight windows generally cost more than traditional windows to start with, and installation costs can be rather pricey since a hole needs to be cut through the roof. While this should not stop you from putting in a new skylight, it is an expense worth keeping in mind when figuring out your budget. Also, since there is more possibility of problems due to leakage with skylights than with regular windows, make sure you hire a qualified professional to handle your skylight installation.